You are here: Home > Summer 2015: Which leg is best for a 6 ? If you’ve ever wondered what the best leg to get a 6 in the answer is of course – any of them ! 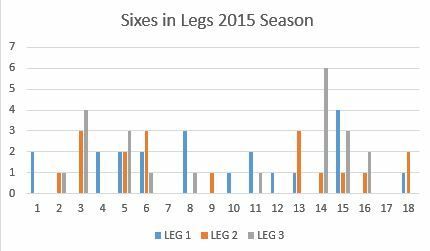 To back this up here’s a breakdown of the 6’s scored in last Summer’s league.